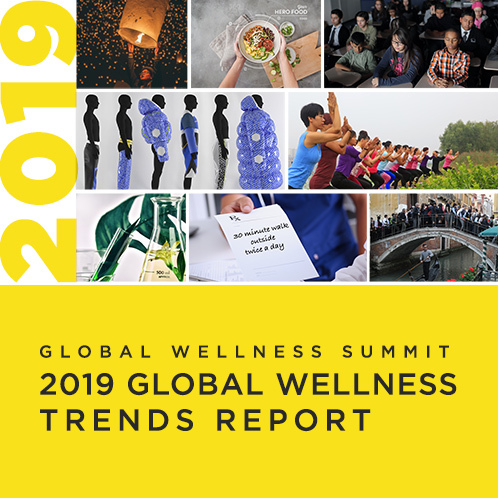 Miami, FL – March 19, 2019 – The Global Wellness Summit (GWS), the foremost gathering of international leaders in the $4.2 trillion global wellness economy, today announced that Irene Forte, wellness director for Rocco Forte Hotels and daughter of Sir Rocco Forte, British hotelier and philanthropist, will join its Advisory Board. Forte oversees the wellness strategy and offerings for the 14 Rocco Forte Hotels, has just launched Irene Forte Skincare, and has won awards for her achievements as a rising young entrepreneur. And she will be instrumental in helping the GWS address the powerhouse demographic in the wellness industry: millennials. Forte oversees the wellness proposition for the Rocco Forte Hotels group, which operates award-winning luxury hotels across Europe and has had recent openings in Saudi Arabia and China. Founded by her father Sir Rocco Forte, knighted for services to the UK tourism industry and a recipient of the highest Italian accolade, the Gran Croce dell’Ordine al Merito della Repubblica Italiana, the success of their hotel group demonstrates how intergenerational collaboration and management can be a unique force in helping businesses embrace new generations of consumers. Her new skin-care line, Irene Forte Skincare, has been described by Tatler as “beauty with a conscience… as kind to your skin as it is to the planet.” Handmade in Italy with ingredients from the family’s organic farm in Sicily, the entire range is vegetarian, free from artificial colors and fragrances, and sustainably packaged with recycled materials. In 2015, Irene Forte was awarded government funding to create a careers app (Map My Future) designed to attract and retain a younger, more tech-savvy workforce—which has been available at the hotel group since 2016. She was awarded the 2016 Rising Star Shine Award and an Acorn “30 under 30” award (given to the brightest prospects in the hospitality industry) in 2017. A very popular keynote speaker at the Summits in 2016 and 2018, her talk “Millennials: Spoiled for Choice and Very Stressed—How to Attract this New Generation of Traveler” is one of the most downloaded in the conference’s history. The Global Wellness Summit is a conference for senior executives and wellness thought leaders; first-time delegates should apply to attend soon, as it’s always a sellout event. For sponsorship information, contact Michelle Gamble:michelle.gamble@www.globalwellnesssummit.com.